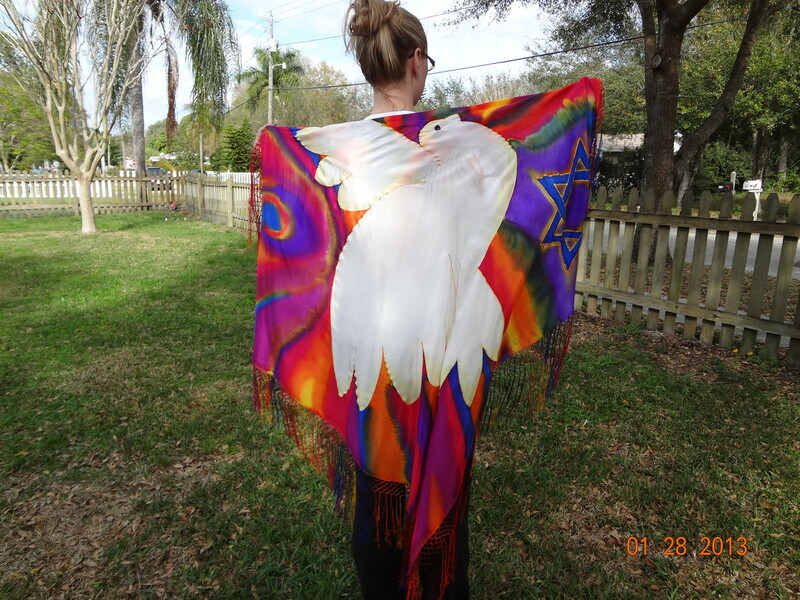 Shalom Dove Prayer Shawl - 3 Strand Cord Silks - Glowing Silk Flags & Billows based on the Bible, Jesus and His Church, to enhance your worship of God! The word for this Prayer Shawl is GORGEOUS! On a background of streaming color, a beautiful white dove flies with the Star of David, signifying peace (shalom) to the world! What a lovely "secret place"! Shawl is pure silk, hand dyed by the artist, and measures about 45 x 45" with 7" fringe all around, also hand dyed. Each shawl is unique, and represents hours of work by the artist. 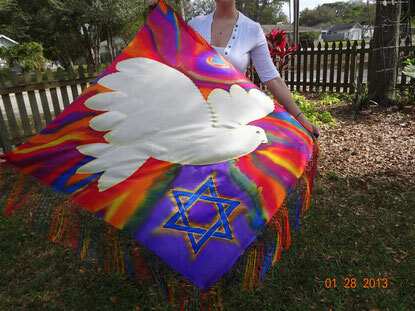 Hand dyed silk Prayer Shawl with White Dove and the Star of David flying over background of streaming color. (45 x 45") with 7" fringe.